Suitable for torage of candy, sample, measuring liquid etc. 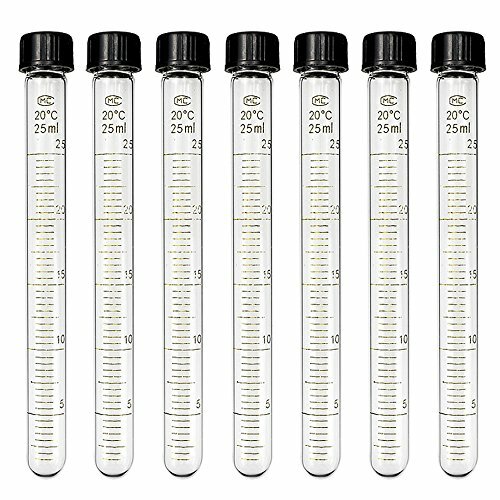 Come with 10pcs 25ml graduated glass test tube with screw caps. Made of heat-resistant borosilicate glass, cap is made of hard plastic. Great for storage of candy, sample, measuring liquid etc. If you have any questions about this product by DEPEPE, contact us by completing and submitting the form below. If you are looking for a specif part number, please include it with your message.